The Alcatel-Lucent next-generation Digital Loop Carrier, the 7201 LiteSpan Multiservice Access Platform, had a quiet rollout and a quiet takeaway, hitting in the early 2010s as more carriers began moving toward fiber and IP-based solutions to deliver their triple-play offerings. However, if your network needs to enhance its infrastructure and capabilities without making that switch, a refurbished Alcatel-Lucent LiteSpan 7201 represents one of the smartest moves you can make. The system is a powerhouse and extremely affordable, allowing you to make the most of DLC capabilities at a fraction of the cost of much newer fiber equipment. Fiber-fed access networks are not available everywhere and you don’t need to be hamstrung by that limitation. Choose the Alcatel-Lucent LiteSpan 7201 to provide the boost you need before transitioning your network. Small carriers continue to leverage DLC solutions and are finding them to be cost-effective and satisfying to customers, making the shift to fiber and other network changes a strategic call instead of a necessity. Worldwide Supply is here to be your strategic partner, enabling you to power your network affordably with a refurbished Alcatel-Lucent LiteSpan 7201, while freeing up enough capital for you to develop your network as you see fit. 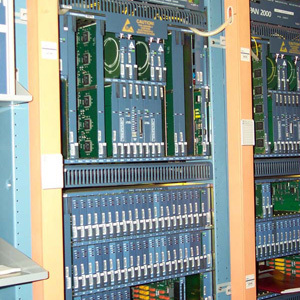 Whether you want a full refurbished unit or need repairs for your existing Alcatel-Lucent LiteSpan 7201 deployments, Worldwide Supply has the certified technicians and parts inventory you can depend on to see you through. We work with providers every day on DLC services and can help you incorporate the 7201 as a smart choice to build, grow and stay reliable.